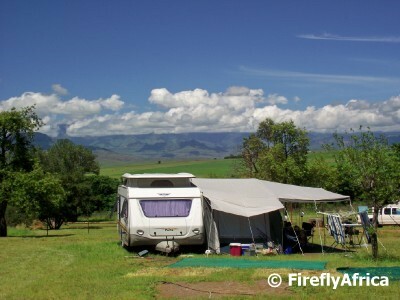 During our December / January holiday trip to the Drakensberg we spent 10 days at the Mahai campsite right in the mountains with another 4 at the Drakensville resort about 30 kilometers away from Mahai. The reason we chose to do this is because Drakensville is a family resort with a number of family entertainment activities and we felt that after 10 days in the mountains we needed to "give back" to the kids and allow them to do more than walk in the mountains and swim in the river. 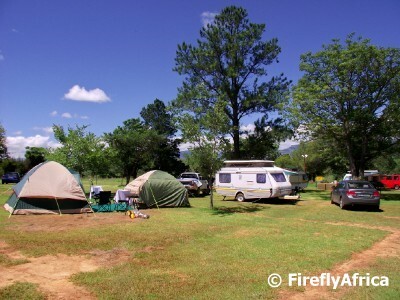 Drakensville is divided into a campsite as well as self catering units. The camping area is quite big and set on an expansive piece of land with nice grassy camp sites. The sites on the one side of the resort has wonderful views towards the mountains and Amphitheatre in the distance. Unfortunately covered in clouds in the photo. My mouth hung open when I saw the ablution facilities. A lot of caravan parks have ablution facilities that aren't new but in acceptable condition and kept clean while others are in desperate need of an upgrade. 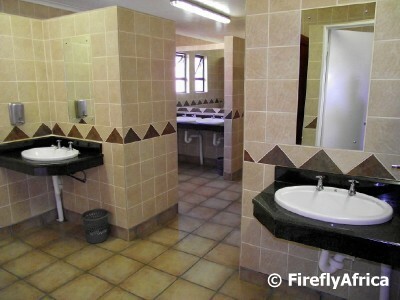 The Drakensville ablution blocks look like they were revamped recently and are in stunning condition. There is also somebody about all the time to make sure its clean. I give their ablution facilities 10 out of 10. The resort is layed out like a small village as it was originally constructed as a construction village for the nearby dam and hydro electrical plant before being turned into a holiday resort. The self catering units are all full houses with all the necessary facilities and fully kitted out. The gardens in the resort are also in stunning condition and well maintained. One of the benchmarks of all the holiday resorts under the ATKV banner is that they have super swimming pool facilities. 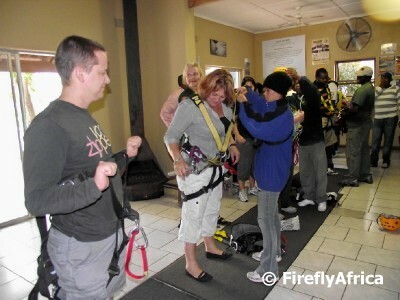 Drakensville has both a heated indoor as well as outdoor swimming pool. The indoor pool is open till quite late in the evenings and a lot of people head back there after dinner to just relax in the warm water. Personally I would have liked the outdoor pool to be a normal cold pool cause with the hot and humid days of Natal in summer you often need to cool down and a warm pool doesn't then help much. The kids' favorite was the super tube. 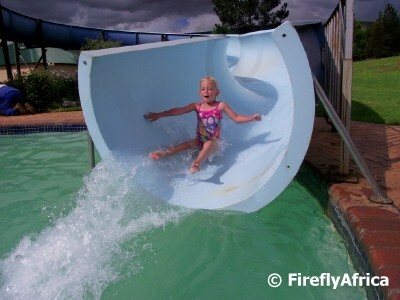 Its a "friendly" water worm and not as fast as some I have encountered which made it safe for small kids to use. Drama Princess even attempted it without her waterwings. Just a side note. Up to this holiday neither the Rugrats have ever attempted to swim without they waterwings, but 4 days at Drakensville was enough for them to take them off and learn to swim. I am so proud of them. 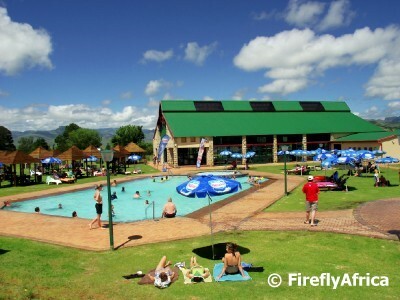 Family resorts like Drakensville organise a lot of activities and entertainment for visitors. 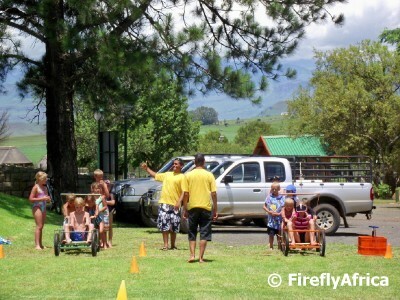 The one day we were there they had box car racing which the kids loved while adults were taken on abseiling and hiking trips. Before our arrival they also had a number of well known South African singers that performed at the resort as well as theme evenings. 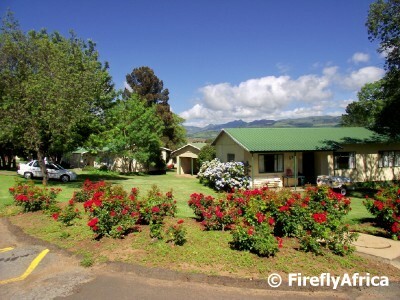 I recommend Drakensville to anybody who wants to have a great family holiday resort to go to, but in my opinion if you want to be in the Drakensberg and don't want the family resort thing then Mahai is still the way to go. I have one or two things to criticise though. But believe me, there is more right than wrong, so I'm just saying and not running them down. We were there the last week of the peak holiday season and my it seemed that the staff was getting tired and not really in the mood to do all the activities anymore. Most of the activities were also fully booked by the time we checked in and they weren't willing to organise extra outings for people who still wanted to go either. I asked at reception if they had information about attractions in the area. The lady told me that they had run out of brochures and nothing more. I had to literally pull information out of here. She then told me I won't be able to get to Retief Rock or Die Kaalvoet Vrou due to washed away roads. I have the posts to prove I was there and I drive a Chev Aveo, so quite clearly her information was wrong. Luckily my spirit of adventure overcame the (wrong) advice and I went to see it. 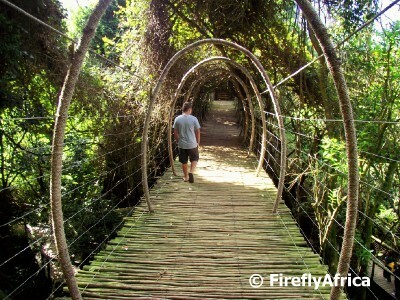 Monkeyland outside Plettenberg Bay is situated right next door to the stunning Birds of Eden. 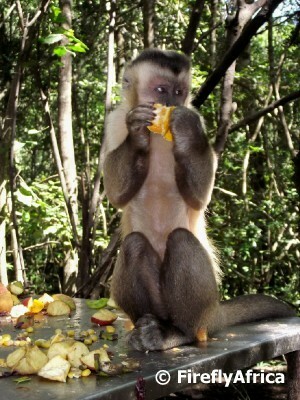 Monkeyland was establishment in 1998 and is the biggest multi species free range monkey sanctuary in the world. Monkeyland is a sanctuary for previously caged monkeys that has been rehabilitated and released into a natural environment. Visitors to the park are taken on guided tours and isn't allowed to approach or touch the monkeys. Monkeyland was another regular stop on tour when I was a tourist guide and it was really nice to get an opportunity to visit it again. On this visit I didn't really get any pictures of the facility, but I can show you some of the 9 species of monkeys that roam the 12 hectare sanctuary . When the Black and White Ruffed Lemur (Varecia variegata) decide to start making a noise you can hear them all over the sanctuary. 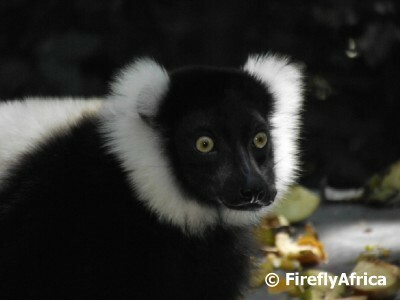 They are one of the three lemur species in the park. 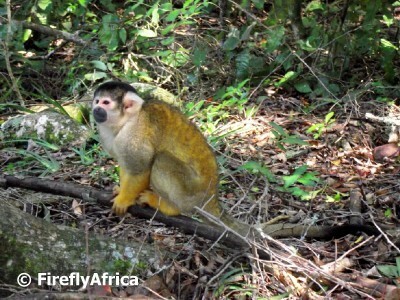 Squirrel Monkeys (Saimiri boliviensis) live in groups and you are sure to see these little critters moving along the forest looking for food. Out of all the monkeys at the sanctuary they are probably the most naughty when it comes to trying to steal food from the seating area at the restaurant and you really need eyes in the back of your head if you decide to sit outside. The Tufted or Brown Capuchin (Cebus apella) are probably the best known of the inhabitants of Monkey Land. They are often used in movies due to their high intelligence. They were also the monkeys that was used to play music boxes and then go around to collect money. 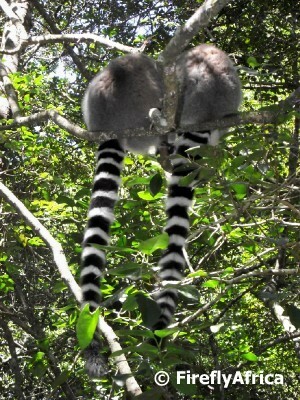 Kids that have watched the animated movie Madagascar may just recognise the Ringtail Lemurs (Lemur catta). Now there is a face you just can't help to adore. 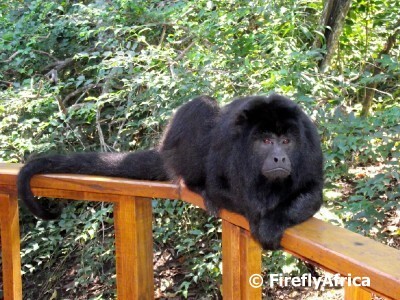 The Howler Monkey (Alouatta caraya) is the second loudest animal in the animal kingdom after the Blue Whale. Even louder than the King of the Jungle, the lion. 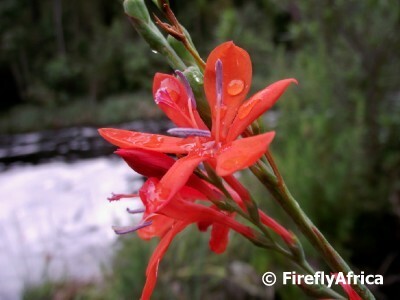 Birds of Eden just outside Plettenberg Bay is one of the most awesome attractions on the Garden Route. I used to visit it quite often when I was a tourist guide and recently had an opportunity to pop in there with a couple of friends. This is the second visit to Birds of Eden that I'm posting about and I'm sure it won't be the last. The two hectare Birds of Eden dome spans over a gorge of indigenous forest and covers the world's largest free flight aviary with over 200 bird species. Personally I think its best to get there early in the morning before there are too many people about and while its still cool and most of the birds are active. Its really something else walking through the forest with the sound of literally hundreds of bids in your ears. The first section of the more than one kilometer walkway snakes through the forest from the reception area down towards a forest stream. 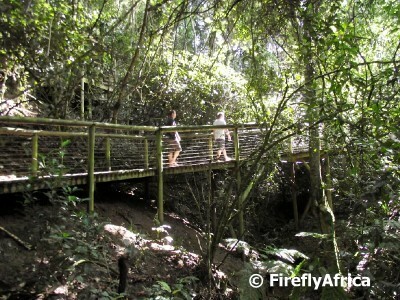 This part of Birds of Eden is ideal to spot the forest dwelling birds like loeries and hornbills as well as macaws and conures up in the canopy. 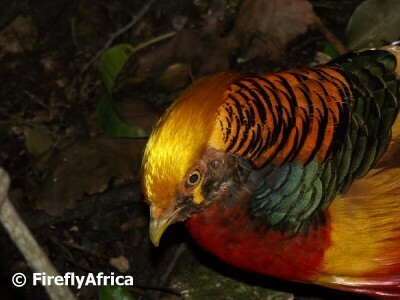 Other than actually spotting a loerie up close, one of the highlights for visitors must be seeing the magnificent Golden Pheasant scratching around in the undergrowth. There are guided walks available through Birds of Eden and the guides are extremely knowledgeable, pointing out and naming birds before you even see them. Because I've been to the park so often before I decided not to go on the guided tour this time around which was a good call as the group was quite big and I wanted to stop and listen to the birds and not people chattering. 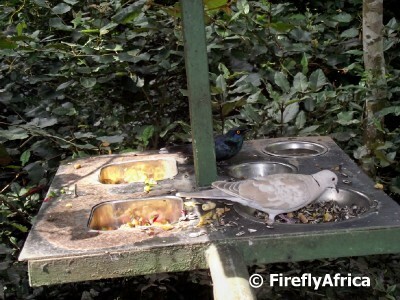 Some of the best spots to see birds along the walkway are at the feeding platforms. These platforms contain water, seed and fruit and gets cleaned and restocked every morning before sunrise so that the birds don't associate people with the food. The canopy walk suspension bridge takes visitors right up into the trees with great views down into the forested gorge. From here you also have a literal bird's eye view as some of the birds swoop down from the tree tops skimming close overhead. As visitors exit the forest a whole new habitat comes alive. This section contains grassland, marsh, woodlands and waterway birds and is the part where you will see the greatest number of birds due to the openness of the area. 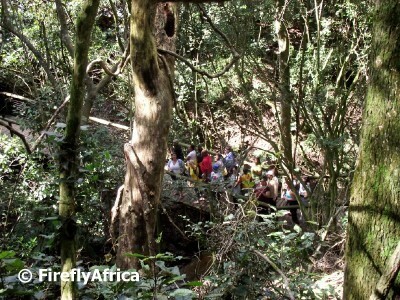 The fact that there aren't a lot of big trees around also gives you the opportunity to see the birds flying overhead. 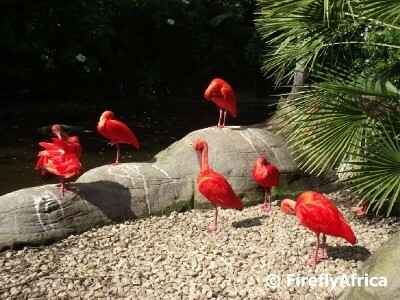 Every time I visit the park the bird that amazes me the most is the scarlet ibis. I get the grey hadida ibis visiting me at home and sometimes see the sacred ibis along the road in places, but these brilliant red birds just take my breath away. As I drive away from the park I always think how lucky these birds are to be kept in such a big natural environment compared to some of the small aviaries that I have seen at places. 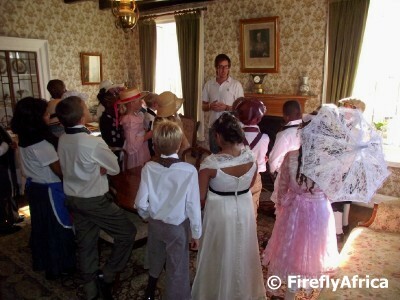 I got word last week that St Georges Prep's grade 4 class was having their annual visit to No 7 Castle Hill on Friday morning. "Why would you be interested in a grade 4 class' visit to a museum?" you ask. 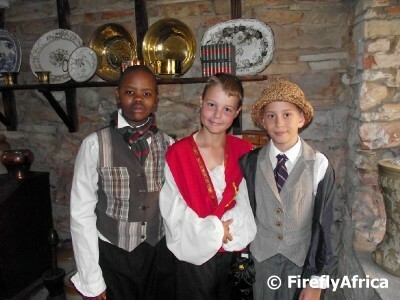 Well, because it has become an tradition for the kids from St Georges Prep to dress up in period clothing for their visit. 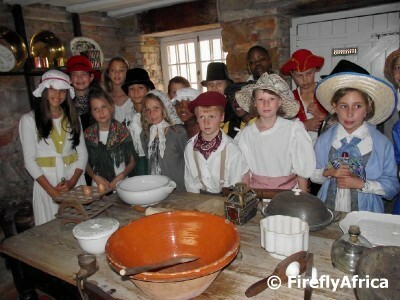 The kitchen is probably one of the most interesting parts of the museum and the kids gathered around the kitchen table while being shown all the interesting objects on display. ... while it took a bit more effort to get the boys to pose. I was walking around while the kids had their tour of the museum. 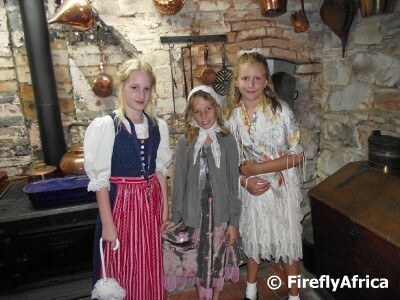 As I came into one of the rooms a couple of the girls were sitting on the floor chatting. The scene felt like it fitting in perfectly with the day's theme. I'm not really sure what type of flower this is, but my guess is an iris. And because I found it next to a river, I will be calling it a River Iris for now. Update: Zania send me the following on Facebook: "Correct - it is from Iris family. 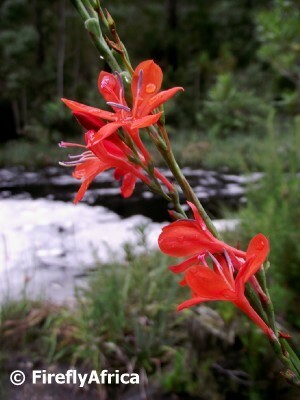 looks more like the Scarlet river lily [river banks] (Hesperantha coccinea). Could also be Small forest freesia [forest margins] (Freesia laxa) - can't see clearly from the pic - depends on leaves, rhizome, size etc ..."
Have you ever wanted to fly through the air like Superman with the wind through you hair skimming the top of the trees? 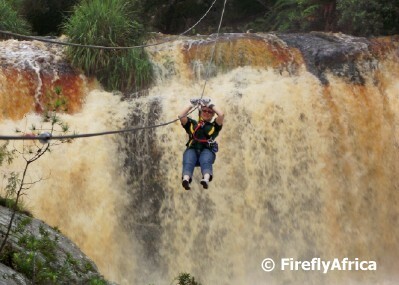 Fly so low over a roaring waterfall that the spray blows in your face? 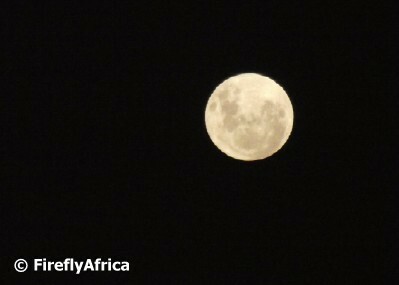 Well, if this was a Vodacom advert I would say, "We've been having it!" The first four of the eight slides is what I would call gentle. After one, or in some people's case possibly two, slides you get the hang (literally and figuratively) of it and start enjoying the scenery more and don't just worry about when to brake. The guides are also very helpful and explains to you exactly what to do before you step off the platform so you should have peace of mind even if you are afraid of heights (which I am). Slide five is where the AWESOME started. 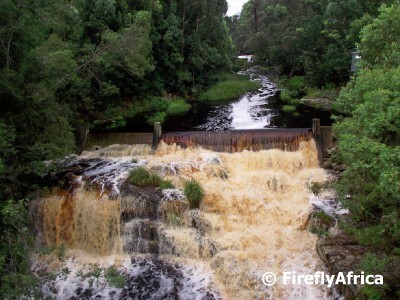 The river has a series of waterfalls and due to a rain storm the previous night it was in flood. 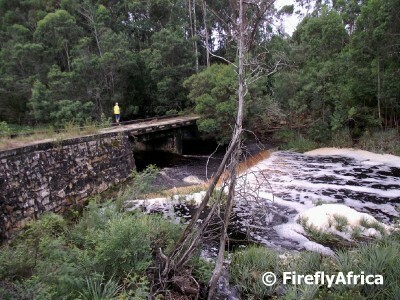 As you pass over the lip of the first waterfall the spray gently showers you while you are speeding along. Looking back at the folks behind me the view of the waterfall in the background was breathtaking. 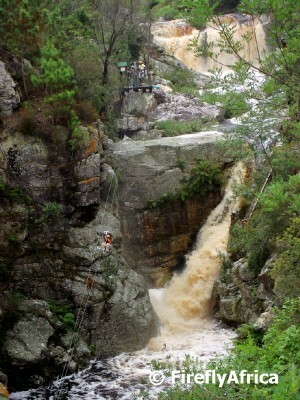 Slide six takes you along a fairly narrow section of the gorge and over another two waterfalls. From the platform you have to walk uphill to get to the next platform and looking down you get a much better idea on how fast you actually go along the cable. The next group were zipping along and you could hear the whoops of excitement over the buzz of the mechanism on the cable. After the last two slides you walk under slide one on the way back to reception. Another group had just set off and we could see them zipping by overhead. How I wished I was going again with them. 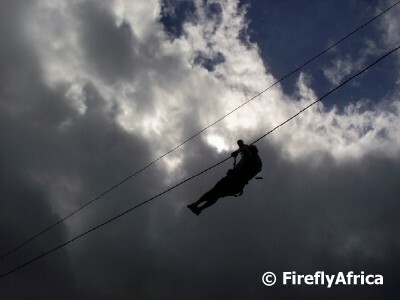 This is definitively one of those experiences that I would do over and over if I had the opportunity and I can highly recommend it to anybody wanting a soft adrenalin adventure. 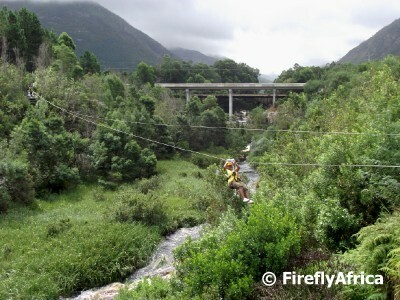 I spent two days in the Tsitsikamma on a team building trip over the weekend where we stayed at the Tsitsikamma Lodge which is right next door to the Kruis River. What was apparently a gentle meandering stream the day before turned into a raging torrent of water overnight after a big rain storm. After the afternoon's activities I used the free time we had to take a walk down to the old bridge. The hotel is situated on the land where woodcutters and travellers of old had their outspan and the old bridge, although not in use anymore, cross the river where the ox wagons used to cross it. 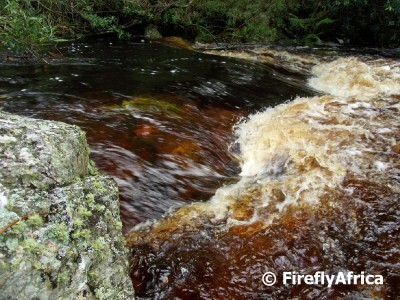 The brown colour of the water is due to tannin being picked up by the rivers in the area as they flow through the Fynbos and forests. So in a way the vegitation acts as a "tea bag" causing the water to change colour. Even though it is brown in colour the water is perfectly clean and is used by locals, visitors and hikers. 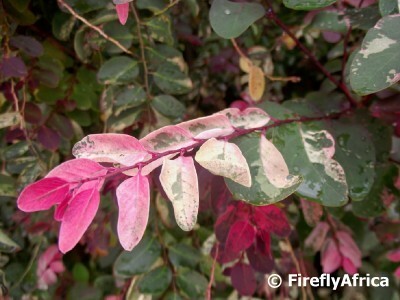 I love my Ice Cream Bush at home with its leaves in various shades of pink, cream and green. 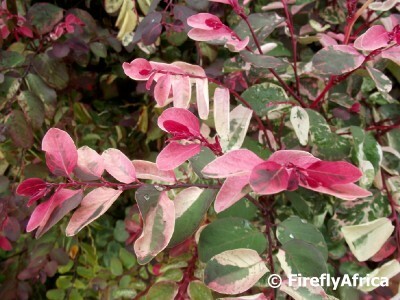 The botanical name of the Ice Cream Bush is Breynia disticha 'Roseo-picta' and its also known as the Snow Bush. The bush is evergreen or should I say everpink/geen. According to my research they are native to the Pacific Islands, like lots of water and usually grow up to three feet tall although my one stands as high as the roof. The part of Freedom Park that touched me the most was the sacred place of Isivivane. Isivivane is an isiZulu and isiXhosa word and is the spiritual resting place for all those who played a part in the freedom and liberation of South Africa. It is inclusive of all religions and faiths and invites all South Africans to come and celebrate their shared spirituality and heritage. 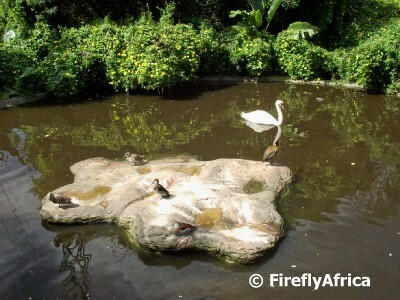 At the centre of Isivivane is Lesaka and its circle of 11 stones. 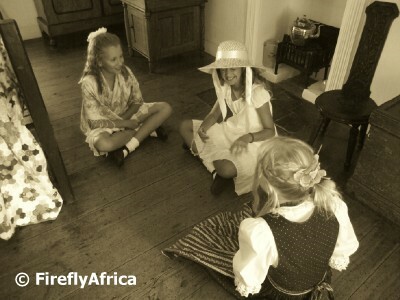 The circle is the symbolic resting place for the spirits of those who played a part in the the struggles that the history of South Africa has seen. Soil was brought to this spot from areas all over South Africa where conflict has occurred and it was deemed sacred ground after representatives all off faiths and church denominations took part in a Cleansing, Healing and Return of the Spirits ceremony. A stone was brought here from each of the 9 provinces of South Africa, while the other two stones represents South Africa as a country as well as the international community. A fine mist spray adds to the atmosphere of the stone circle and all visitor are asked to please remove their shoes before entering the area. To the one side of the stone circle (in the background of the first photo) is Lekgotla. Lekgotla is a semi-circle seating structure built around an Umlahlankosi Tree (Buffalo Thorn Tree) and it allows visitors to meet and hold discussions in the same way as many has done in various African traditions. 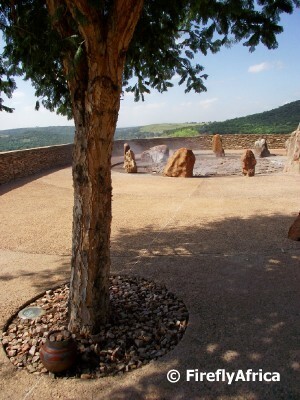 There are another nine smaller Umlahlankosi trees surrounding the stone circle, each donated by one of South Africa's nine provinces. The trees symbolise one of the mediums through which the spirits of South Africa's fallen heroes and heroines has been brought to Isivivane. Water also plays a big role at Isivivane through water features and water points to wash your hands when leaving as water represents cleaning and healing in many believes. 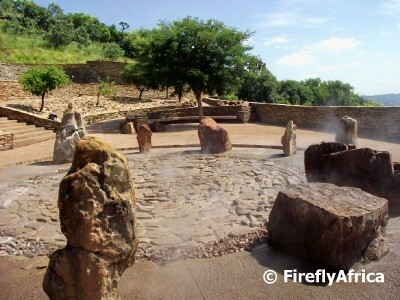 In my humble opinion I truly feel that each of the provinces should develop a site similar to Isivivane that is spiritually linked to the one at Freedom Park as it would become a great place to remember the past and celebrate the future. Today is 21 March which is Human Rights Day in South Africa and I hope that the posts of the last two days have also played its part in celebrating human rights..
Freedom Park in Pretoria tells the tale of South Africa in the voice of the South African people. 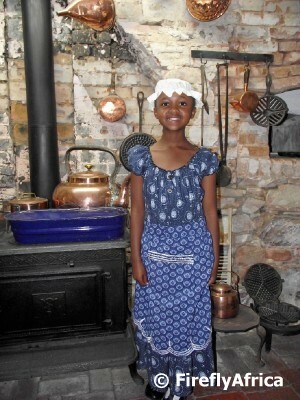 What makes the place even more special is that it urges us to experience our shared history and heritage as brothers and sisters and hopes to dispel the myths and prejudices that has distorted and concealed the image and achievements of South Africa in the past. Since its opening in 2009 I've been wanting to visit but every time I got up to that part of the country something seem to come up and thwart my plans. So on my last visit I made sure to put some time aside and headed to Freedom Park before I had to catch my plane back home. 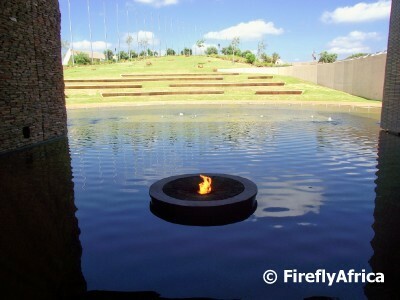 The main memorial area at Freedom Park has a siSwati name and is called S'khumbuto. 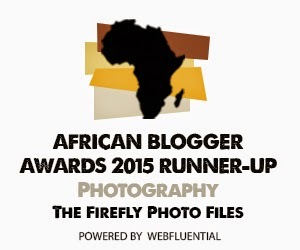 It stands as a testimonial to eight conflicts that have shaped South Africa into what it is today. These conflicts are the Pre-Colonial Wars, Slavery, Genocide, Wars of Resistance, the South African War (also known as the Anglo Boer War), First World War, Second World War and the Struggle for Liberation. S'khumbuto is made up of eight different elements. 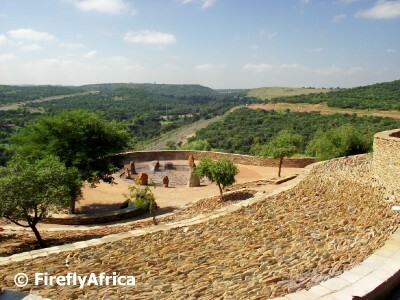 At the centre of S'khumbuto is a grassed Amphitheatre capable of seating 2,000 people. At the bottom of the Amphitheatre is the Sanctuary and adjacent to that the Eternal Flame which allows visitors to remember the unknown heroes who lost their lives without their names being recorded in history. The Amphitheatre is surrounded by the Wall of Names. 697 meters in length, the wall is being inscribed by the names of those people that played during the eight mentioned conflicts. It has space for 150,000 names and up to now about 75,000 have already been inscribed. All the names are also kept on a electronic database which is accessible through touch screen technology on site. The people of South Africa is asked to forwards the names and details of people they know who was involved in any of the conflicts to be added to the database and Wall of Names. The whole complex is surrounded and edged with the Reeds. 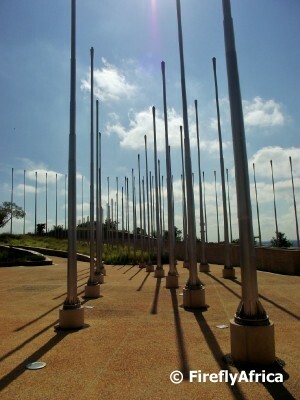 The nearly 200 ascending Reeds, the tallest measuring 32 meters, represents the rebirth of the South African nation as well as embracing the future. 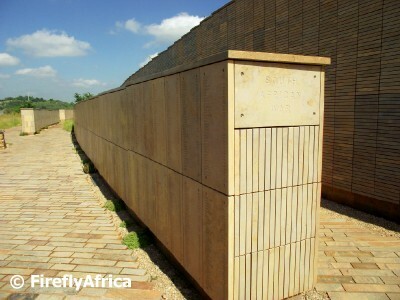 The Reeds means that Freedom Park is visible from all around most of South Africa's capital city. Next to the shortest of the Reeds stands the President's Tree. This African Olive Tree, representing peace, was planted by former president Thabo Mbeki in 2002 when the development of the site was still in its early stages. As I was the first visitor in that morning, I had a guide all to myself. Tour guide Gift Mutarini didn't grumble once because he had to show me around on my own and was kept very busy with me shooting off questions, telling my own stories and stopping for photos all the time. He also caught on very quickly when I needed him to keep on walking cause I needed a subject in a photograph. 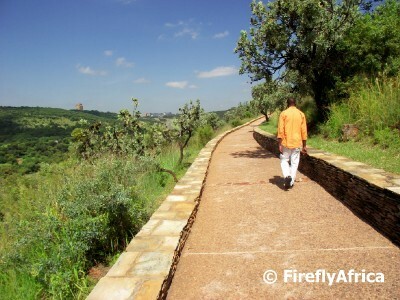 Walking along this section of the path, the Voortrekker Monument is visible in the background. 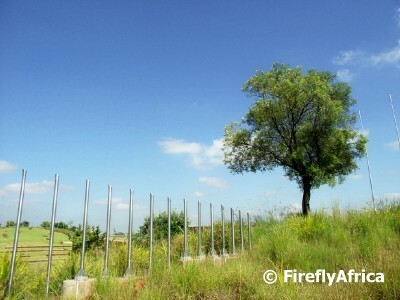 Part 2 of my post on Freedom Park will follow tomorrow when I show you the sacred space of Isivivane. "Come any closer and feel the wrath of my sting!" That's probably what this wasp was saying while I was lining him up in my view finder. 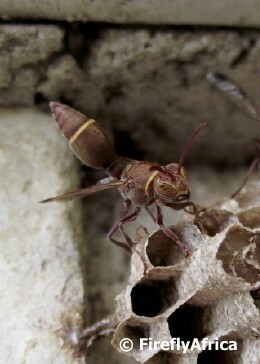 Social Wasps (Family Vespidae) are normally brown with yellow or white markings on the abdomen. The females build communal paper nests for their eggs and the larvae are fed on chewed caterpillars. The cells are then capped while the larvae pupate. We normally have two or three of these nests around the house, but luckily haven't had any problems. The reason may be that we have this "if I have trouble with you I break your nests"agreement. The Dragon at is rest. 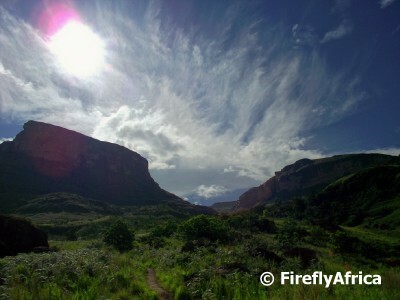 The Drakensberg mountains can wip up magnificent storms when the dragon wants to, but when its taking it easy on a sunny day, its one of the most beautiful parts of South Africa. 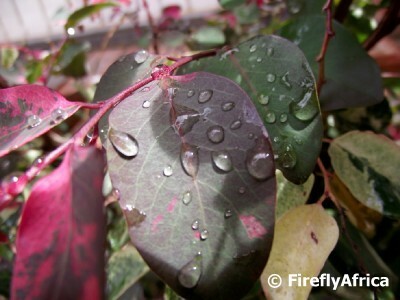 Visit Skywatch for more magnificent photos from all over the world featuring the sky .